Pizza has been a favorite food of mine for as long as I can remember, but for my son, he just didn’t like it. I couldn’t figure out a way to make pizza that he would eat, and that I could approve of for the longest time. Thats because the only pizza he would dear is cheese pizza, and that’s just not gonna happen. In my quest to make find a new pizza that he might eat, I found out something pretty interesting. He would eat chicken on pizzas. Turns out the problem was the pepperoni or sausage (toppings we love) that made him turn his nose up at pizza. 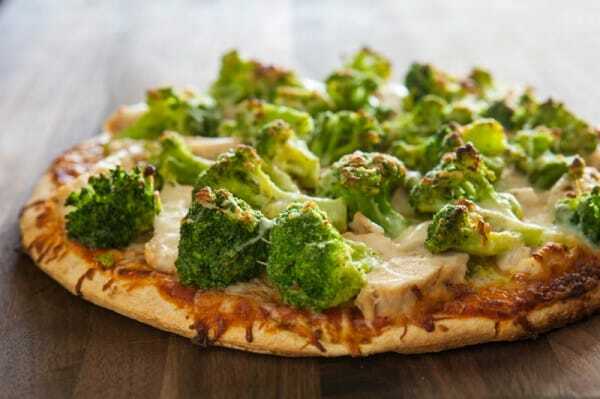 So I came up with the is cheesy chicken and broccoli pizza. It has simple pre-cooked chicken breasts strips paired with broccoli with Tuscan seasonings. It tastes amazing, and makes the perfect busy weeknight dinner when paired with a simple salad and a little fruit for dessert. To make this pizza, I just start with a ready made pizza crust, and then top it with jarred pizza sauce. Then I add shredded mozzarella, Green Giant broccoli and chicken breast strips. It’s super easy, tasty and pretty healthy too! Heat oven to 450°. Place broccoli in microwave and cook for 5 minutes, just until thawed. Broccoli will finish cooking in oven. Start assembling pizza by spreading pizza sauce over crust. Add ½ cup of the shredded cheese on top of the sauce. 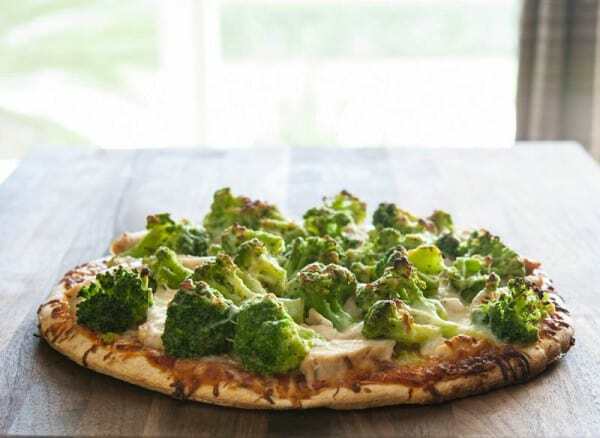 Spread grilled chicken on top of cheese and then place broccoli on top of pizza. Add the other ½ cup of cheese on top of pizza. Bake pizza for 10 – 15 minutes, or until cheese has melted and pizza has lightly browned. 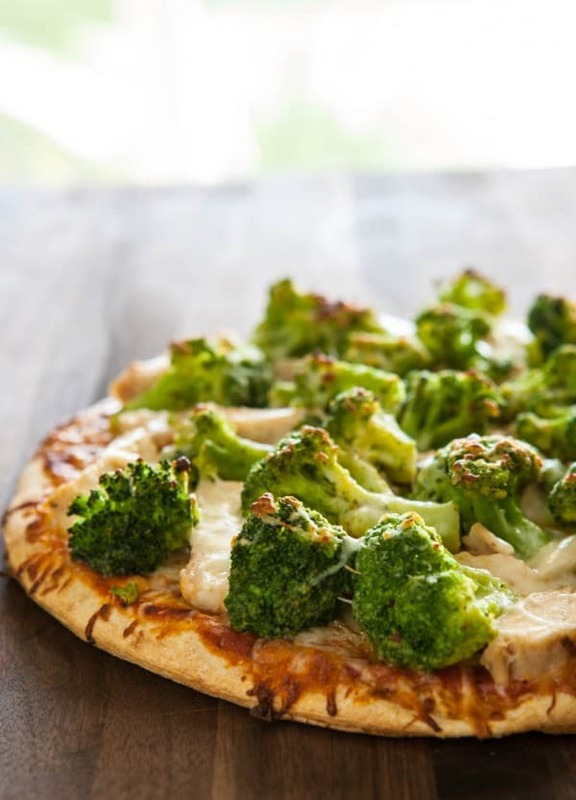 Love broccoli on my pizzas!